Would it be helpful if you had a way to reach out to your customers before they need to reach out to you? Let’s say you have a new product you want to let them know about, or you want to give your new users a suggestions on how to get started. Connect, the newest addition to the Zendesk product family, serves as a great complement to the Support product. 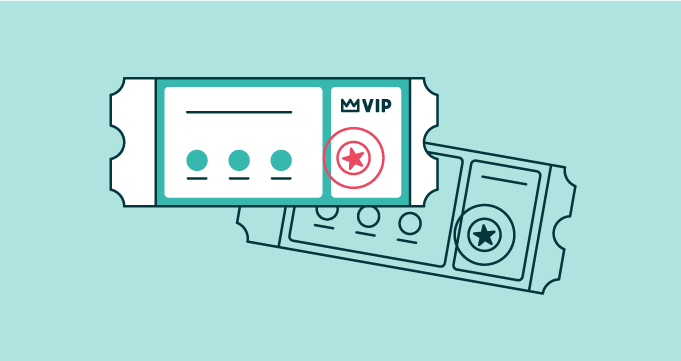 You can use Support when your customers want to reach out to you, and Connect when you want to reach out to your customers, providing them with proactive support through in-product messaging. Proactive messaging is a great way to inform, educate, or support your customers—before they even realize they need help. It allows you to anticipate and act on customer needs, helping to pre-empt issues, deflect tickets, and build trust with customers. 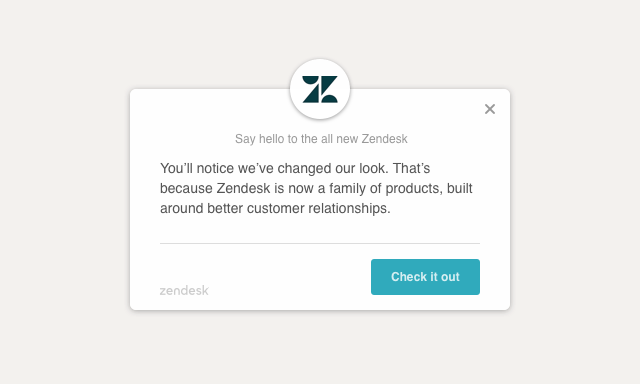 Last fall, Zendesk launched a rebranding and introduced new additions (including Connect) to the product family. To announce the updates, we sent an in-product message (IPM) to all customers to notify them of the changes and provide with a link to more details. We wanted to help customers understand what was changing and why, so we used the IPM as an effective way to reach customers in context. 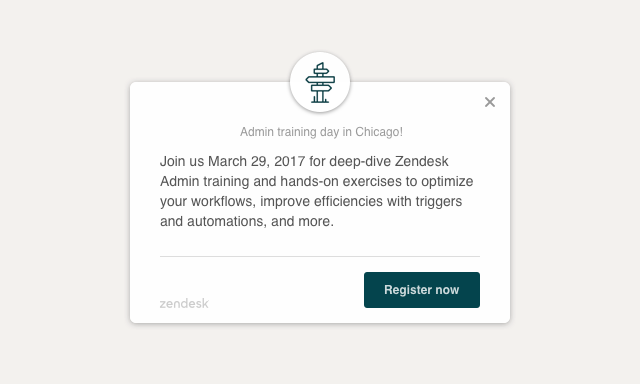 Zendesk offers live training sessions to help new customers get familiar with the product and make the most out of it. We sent proactive message to new admins who joined Zendesk within the past 6 months and work within the specific region where the live training took place. 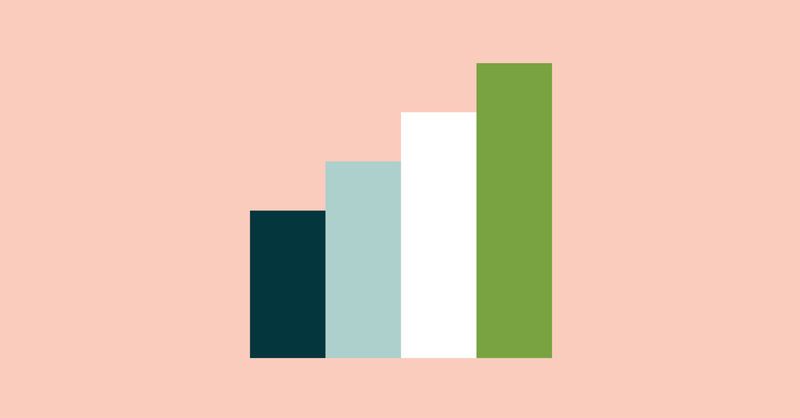 This approach helped to reach target customers in a timely manner while they are using the product, and inform them of relevant events that are intended to improve their experience with Zendesk. 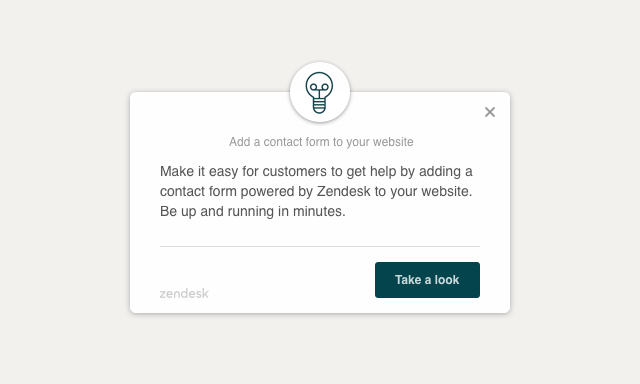 There are a number of underutilized Zendesk features that customers can benefit from. The problem is this: not all of our users know that these features exist, or how best to use them. To help bring awareness to one of these features, the Web Widget, we engaged customers who haven’t enabled this feature and included a suggestion on how to add it. We understand security issues can be confusing or frustrating. To affirm our commitment to customers and try to maintain their trust during those sensitive occasions, we want to help our customers feel aware and informed. In response to a recent security issue, Zendesk sent a proactive message that linked to a help center article with ongoing updates. This proactive heads-up was intended to help inform customers, mitigate their concerns, and decrease the need to reach out to support, resulting in fewer tickets that we would have needed to respond to. It isn’t always necessary to wait for a customer to reach out with a problem; proactive messaging can be used to get ahead of these issues and engage and support customers at any point in their journey. To better meet the proactive messaging needs of customers, we have acquired Outbound and plan to phase out Connect. 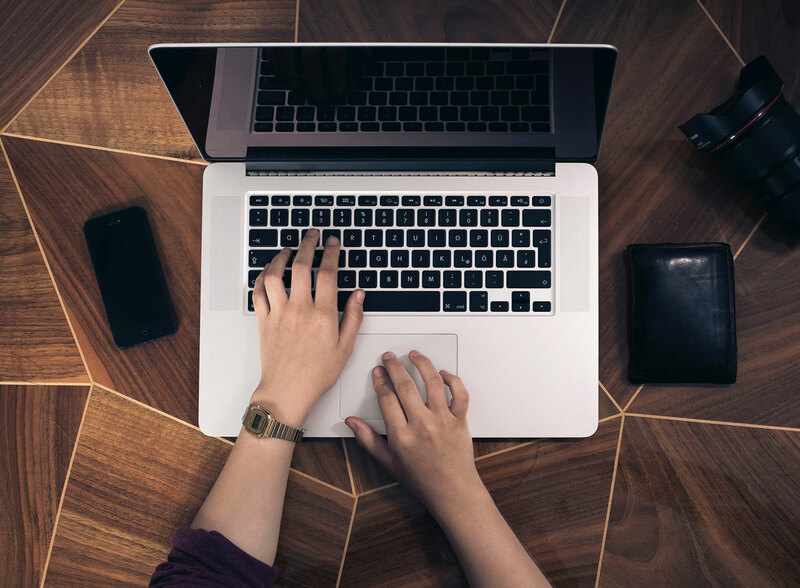 With Outbound, businesses can easily automate and measure the impact of targeted messages across email, web, and mobile channels.